David’s back with a brand new series and a new way of making you believe he can do the impossible. 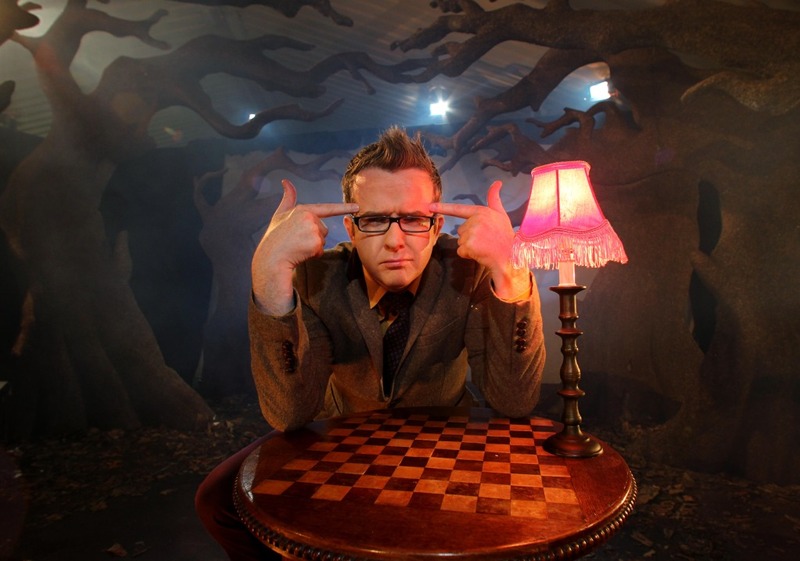 Mentalist David Meade, the man with the mind-boggling power to tell you what you’re thinking returns to BBC One Northern Ireland this Halloween and this time he pits his powers against the toughest test yet. And this time, it’s not only the studio audience and members of the public who are left bamboozled by David’s talents. Even TV personalities aren’t safe as David calls in on a host of stars including Big Brother winner Paddy Doherty, soap star Jennie McAlpine (Fizz in Coronation Street) and cricketing legend and Strictly star Darren Gough. 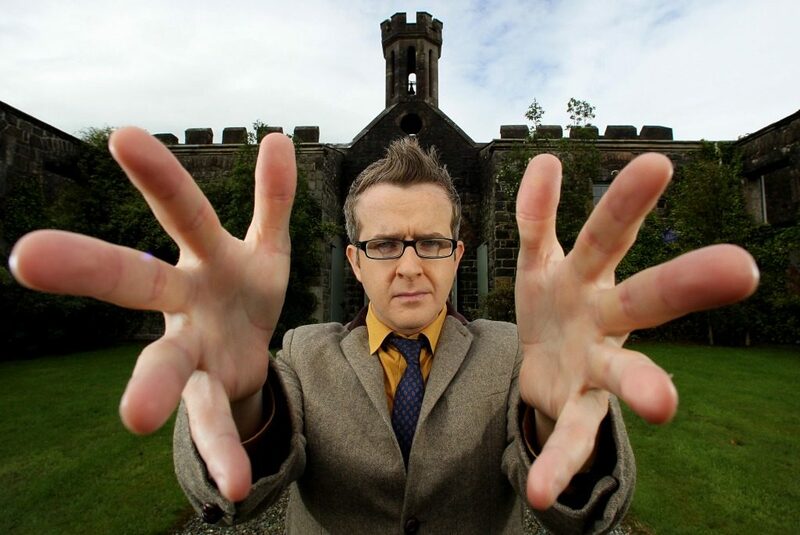 The new series, David Meade: Make Believe, starting on Wednesday, October 31 at 10.35pm was recorded while David was surrounded by a live studio audience in the enchanted setting of Lissanoure Castle in County Antrim – the secret location the audience were transported to. There’s no place for the mentalist to hide, no camera tricks or mirrors as the audience get up close and personal with David while he attempts to make them believe he can control their minds and this time he’ll even put his money where his mouth is. This series also lets the audience at home play along with some of David’s studio‘ experiments’ and he’ll even let us in on some of his trade secrets. “This is the riskiest thing I’ve ever done. The audience aren’t just watching me on TV- this time I’m in the middle of a live studio audience scrutinising my every move. It was a brilliant experience recording this series as it differs a lot from the previous ones. I really enjoyed the thrill of interacting with a live studio audience – we had so much fun. As people know, it’s not a big serious TV show, it’s entertaining and when you have a studio audience you end up with loads of laughs. I’m not a psychic but can I make them believe that I’ve got super psychic powers and the ability to read their minds? Can I make them believe I’m some sort of genius? Will it all go horribly wrong if I’m really really put under pressure? In Lissanoure Castle David attempts to make the audience believe he has the powers of a psychic in the first programme of the six-part series but can he do it when he’s under the gaze of hundreds of eyes? And David puts his mind reading abilities to the test when he visits no nonsense Paddy Doherty. What will Paddy make of David’s mind reading abilities? Each week David will attempt to make a different audience believe he can do the impossible. During the series the audience will include a range of different professions including doctors, teachers and sales people while David tries to make them believe he can read minds, that he’s a genius, can control minds and still be able to astonish the audience even when he’s put in stressful situations. The six-part series, David Meade: Make Believe, starts on BBC One Northern Ireland on Wednesday, October 31 at 10.35pm.